Big expansion is on the way. So, the core version of Guild Wars 2 is now, as ArenaNet puts it, Play for Free. That's the good kind of free that really means free, not the kind of free that involves microtransactions for everything from equipping weapons to in-game sneezing. 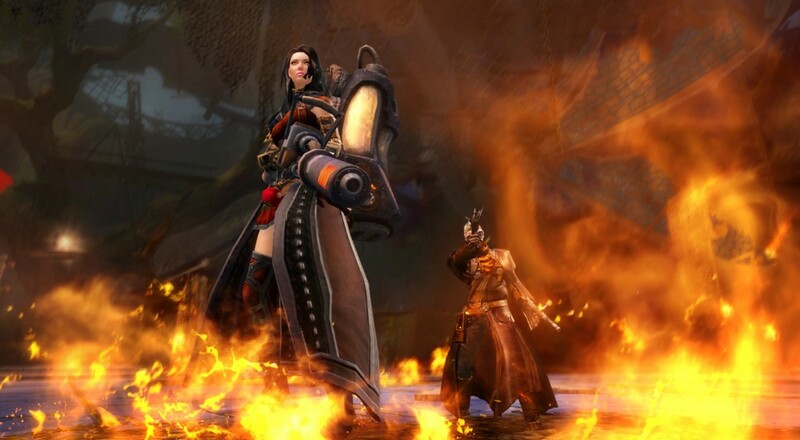 You can download the client and start playing the core version of Guild Wars 2 right away. Or tomorrow, or whenever you feel like it, really. It's free, baby! The big move comes just a few weeks before the Heart of Thorns expansion launch in late October. New features include a new profession, a nice set of jungle maps to explore, new specializations, and more PvP and world vs. world modes. HoT also introduces something called Masteries, a new model for endgame MMO progression that opens up new training opportunities for 80 level characters. There's more stuff, too, but you'll have to click that link if you wanna read it. Tempting, eh? Speaking of expansions, we had a chance to check this one out back in August. Read the full Guild Wars 2: Heart of Thorns preview and you'll be nice and ready for the release. Which launches Friday, October 23rd in North America and Europe, by the way. Until then, you've got a lot of free Guild Wars 2 core game to catch up on. Page created in 0.7472 seconds.